Some of the best open back headphones out there are renowned for producing the most detailed and authentic sound experience in the headphone world. In fact, some of the most refined examples of headphone craftsmanship happen to have an open-back design. Some argue they are the pinnacle of sound purity as it delivers sound that is closest to natural. At the same time, given all their accolades the open back headphones are not for everyone as they serve a very particular niche. That niche is predominantly represented by audiophiles searching for the sound perfection and natural, wide and clear sound. Since you are reading this review, it is very likely that you are also an audiophile who has a high regard for the sound quality and its purity. To achieve an authentic sound experience the open-back headphones almost entirely remove the sound isolation between the environment and your ears. The soundstage produced is also typically more spacious compared to close back headphones. The best open back headphones intend to create an ‘all around’ sound experience which tries to mimic open spaces such as concert halls and stadiums. 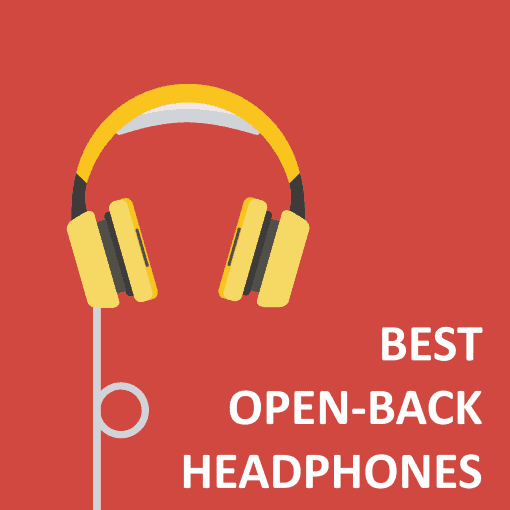 If you are on the run and not able to go through the detailed reviews of the top open back headphones, we have prepared a quick summary for you. The below table gives a quick view of our top 10 open-back headphones that you can buy today. We have carefully considered best open back headphones within price categories from $50 to $500, so we are sure to have a great pick for you. If you do have more time, however, we encourage you to read the detailed review following the summary table. The pinnacle of open-back headphones. Close to perfect sound balance and clarity. They do, however, come with a hefty price tag. Unparalleled sound quality for the price tag. One of the best budget open back headphones under $50 you can buy. Pure and detailed sound with stunning midrange reproduction. A true reference headphones icon, the best you can find under $500. Depth, sparkling details, and crystal clear sound is part of the Grado’s sound signature. The best open back headphones under $300, unless you are a bass lover. Time tested classic pair of open-back headphones ideal for audio producers and music lovers looking to spend under $200. The most comfortable pair of cans in our review. Strong mids, and smooth sound reproduction. Good fit for studio engineers looking for headphones for tracking, mixing or editing. One of the best open back headphones under $150 around. Incredibly wide and airy soundstage that does not have a match under $100. Detailed and clear sound. One of the lightest open back headphones with a flexible fit in our review. Great level of comfort and close to no ear fatigue make X2HR’s one of the best open-back headphones for gaming. One of not many open back cans with emphasized bass response. The closest you can get to open back audiophile-grade sound quality for under $100. One of the most versatile headphones for any home use. Solid build quality with great attention to details. Not cheap, but for hi-end audiophile-grade cans, they pack an incredible amount of value. Pure and detailed sound with stunning mid range reproduction. A true studio reference headphones icon, the best you can find under $500. The closest you can get to open back audiophile-grade sound quality for under $100. One of the most versatile headphones for home use. Great build quality with exquisite attention to details. Not cheap, but for hi-end audiophile-grade cans, they pack an incredible amount of value. Sennheiser HD 800 S is an exquisite piece of open back headphone engineering, there is no other way to put it. They are hand assembled in Germany and represent an evolution of the original Sennheiser HD 800 model released around 10 years ago. 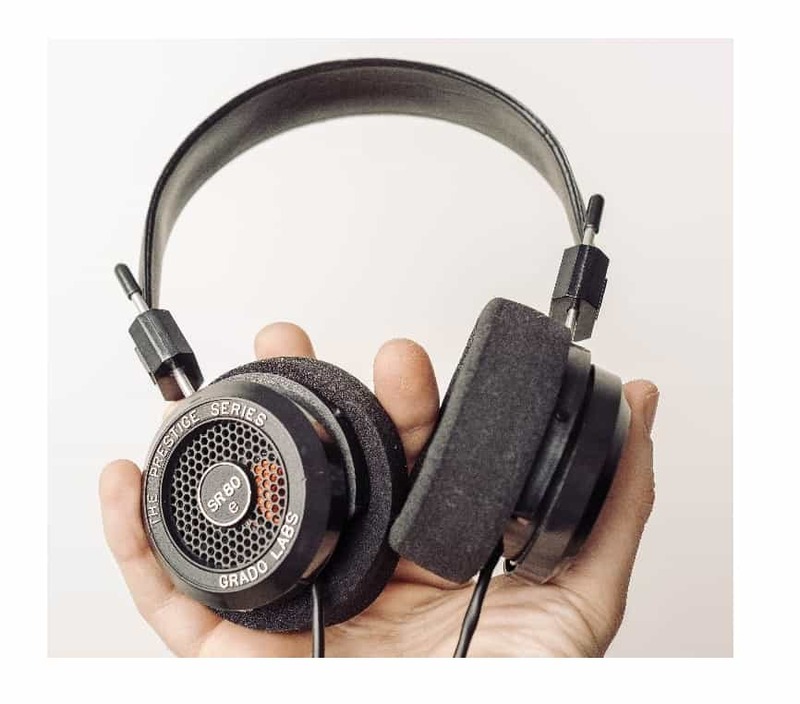 We do not usually review items and headphones in this price range, but due to the very well executed press release campaign and many big promises made by Sennheiser – it was hard to discard them. The HD 800 S is the Sennheiser’s most expensive headset available to the public. There is also a $55,000 Orpheus, but it is not something you can buy off-the-shelf. Although the Sennheiser HD 800 S has not changed much visually compared to the original, the quality of the headphones including materials and build has jumped to a new level. The frame is made from a high-grade, lightweight yet very durable polymer. Conversely, on the inside, premium Alcantara material is used. The design is really ‘open’ as you can see the driver and almost touch it. The back is well protected, but you may still want to keep them indoors to ensure they are not exposed to dirt, sand, water or any other debris. Unlike its predecessor, the Sennheiser HD 800 S comes with an XLR jack cable. The cable design which works well for balance connectors and amplifiers. A very welcome addition of a handy feature that costs a couple of hundred dollars on its own. Sennheiser HD 800 are relatively big, as they would easily cover almost any ear size. At the same time, due to the high quality materials used in construction – they are also quite light weight. The earpads feature a very comfortable design and manage to distribute the pressure around the ear perimeter quite evenly and consistently. The inside ear padding and the headband are made of Alcantara, which makes the headphones ultra soft and comfortable to wear. In fact, they are one of the most comfortable full-size headphones we have ever tested. Knowing the performance of the original Sennheiser HD 800, we were ready for the new model to blow us away. And it did. Again. The soundstage produced by Sennheiser HD 800 S is quite simply – second to none. Playing with perfection, the headphones redefine what a clear, balanced and detailed sound is. Their wide frequency response goes well beyond what the human ear can register. The sound landscape is pushing the limits of what the headphones can physically produce. It is expansive, with fantastic breadth and detail where you can hear and feel every single instrument down to its every single note. The treble sounds a lot more natural yet still prominent compared to its predecessor, which was slightly overwhelming and piercing. The bass response is slightly highlighted, but not enough for the bass lovers to enjoy. If you are one of them, you may need to play around with EQ levels to get more of it. At the end of the day, Sennheiser has pursued sound authenticity, clarity, and fidelity with this headset and they have definitely done it. The result is superior sound to almost any pair of open backs we have ever tested. With close to perfect sound balance across the frequency range, the headphones manage to keep their composure even at the maximum volume. No matter which soundtrack we threw at Sennheiser HD 800 S and no matter how busy or loud it was, the sound remained distortion and resonance-free. 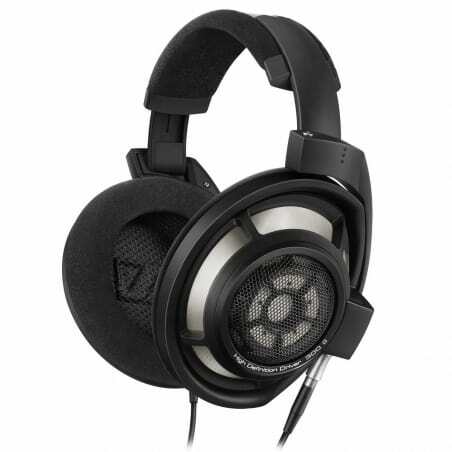 In summary – Sennheiser HD 800 S is simply an epic pair of professional headphones for studio applications. Their soundstage is huge and wide, the sound is almost perfectly balanced and clear. If you are an audiophile searching for a true sound fidelity, purity, and perfection, it does not get any better. These are the best open-back headphones in the world, period. We rarely ever buy or recommend luxury items, but Sennheiser has made it easy for us this time. Just keep in mind that an audio amplifier is required in order to get the best out of this masterpiece of the audio engineering. We have heard many good things about Samson SR850 headphones. In fact, perhaps too many, considering the headphones sit well within the $50 price range. The plethora of positive feedback has made us very curious and we have decided to give these budget headphones a good run for their money. The headphones have a reasonably plain, cheap and fairly boring packaging. Visually, you may notice some resemblance with AKG K240 headphones (which we have also reviewed below) as they both share the dual metal band design. The material quality does not blow you away, yet the headphones feel durable and sturdy both wearing and holding them in hands. They are also surprisingly lightweight, which is not typical for headphones of this size and level of ruggedness. The Samson SR850 features a semi-open-back design which is ultimately a compromise between a closed back and open back type headphones. This means that they do block some ambient sound, yet not as much as closed-back headphones. The good news is that the headphones have been designed to work with portable devices. They have a low level of impedance, hence you do not need an expensive amplifier to drive them. Wearing the headphones at first feels a little tight. It does ease off over time, yet if you want to speed up the process, you can bend the metal frame a little bit to reduce the pressure on the ears. The leather headband can be used to adjust the height to make sure a secure and comfortable fit. Once you get your band tightness sorted and have the headphones on, the ear cups with velour padding feel quite comfortable. You can comfortably wear them over extended periods of time, which is particularly surprising given the headphone’s price point. The quality of the sound? This is where Samson SR850 excels compared to the competition in its price range. The headphones immediately surprise you with a wide and generous soundstage. Not the widest and mot the most immersive we have ever experienced, but definitely the best in the price range. The headphones are capable of producing frequency response from 10Hz to 30kHz range which is great for headphones with 50mm drivers. The sound quality is mostly balanced and detailed across the frequency spectrum. The highs may come across as too bright for some, as we feel they are slightly overemphasized. Overall, the sound quality is unmatched within the budget range. We found that some headphones that are double the price find it hard to match the audio performance of Samson SR850, which is quite remarkable. Speaking of the sound quality drawbacks, it is hard to complain, especially since SR850 are the cheapest headphones in our review. Yet, if we had to be picky, we think the sound is missing some ‘depth’ and may come across as somewhat blunt at times. Overall, the Samson SR850 are extremely affordable headphones that sit amongst the best budget open back headhones on the market. Yes, visually they are pretty plain and borderline boring. At the same time, the sound they manage to create will leave some of the mid-range headphone jealous. Sennheiser HD 660 S is the latest pair of high-end open-back headphones from Sennheiser. The headphones are released to replace the current headphones in the HD 6xx line, such as HD600 and HD 650. This is a big deal, as the former line-up has demonstrated some serious staying power. It was recognized by passionate audiophiles searching for the most open and dynamic sound experience. So given its illustrious pedigree, the HD 660 S have many tough expectations to live up to. Let’s see if they have. The design is very similar and at times identical to the older representatives of the HD 6xx line-up. In fact, the design goes all the way back to 1997 when the original HD 600 was released. Since then, only some minor changes have been made to the headphone design. The headphones are built from a quality matt plastic that does not leave stains or fingerprints. The open metal mesh grills on the outside have Sennheiser logo engraved into it on each side. Overall, the all-black look feels classy and more premium than the earlier models. Although the back is quite open and you can see the driver mounting through the grill, the headphones have a solid and a sturdy feel. The most significant update to mention are the new neodymium drivers. Sennheiser has halved the original impedance from 300 Ohm to 150 Ohm in an attempt to make the headphones more portable device friendly. I would, however, refrain from using mobile devices to power HD 660 S as 150 Ohm is still too much to ask. At the same, if you are serious about using these headphones while on the go, a portable amplifier is highly recommended. The earpads are now slightly softer and deeper. This makes them more comfortable for extended use compared to the earlier models. The headphones clamp firmly around the head with sufficient force to sit tightly and securely without affecting the comfort or falling off. The Sennheiser HD 660 S have a medium-wide soundstage, second to only the mighty HD 800 S we have reviewed earlier. The instruments sound very detailed, distinct and precisely positioned. They are clearly separated allowing you to catch individual notes with relative ease. The new model comes with a number of improvements to address some of the week points of HD 600 and HD 650. They no longer appear to have the rattling in the midbass department as the sound reproduction is a lot clearer now. With the help of computer optimized magnet system, Sennheiser has addressed the harmonic and intermodulation distortion which has now greatly diminished. In addition, the lightweight voice coils made of aluminium help to improve transient response. Overall, the headphones deliver a more dynamic sound experience making the transients quicker, clearer and more refined. There is now more energy at high frequencies, and the low-mid range department comes out rich and full. Just like with the earlier models, the mid-range frequencies is the highlight of HD 660 S. Although the mids are not as ‘in front’ as with the previous models, they are still quite prominent. It makes the overall sound more balanced and enjoyable. Vocals and violin come across so clear, natural and distinct that it gives you goosebumps. Overall, those are among the best mids you can buy under $500. The sub-bass, however, feels slightly unfulfilled at times, which is a trait on most open-back headphones including all HD 6xx headphones, so not much has changed in this department. If you are a sound purist looking for the most natural sound experience you may want to consider other options, such as Beyerdynamic DT 990 Pro. They have a slightly wider soundstage, more warmth, balance and more neutral sound. 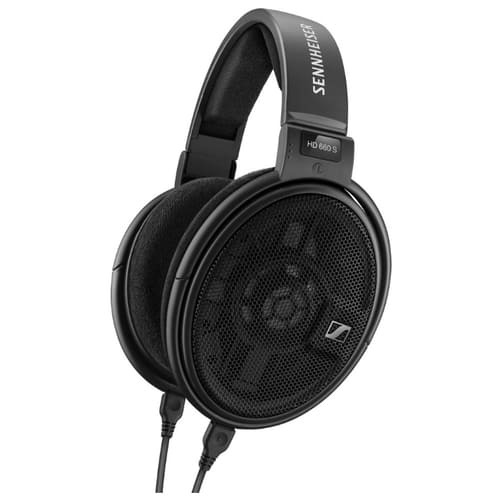 However, if you are looking for reference headphone perfection with the most detailed sound and simply stunning mids – the Sennheiser HD 660 S is one of the best open back headphones under $500 on the market. The Grado SR325e is a flagship model in the Prestige Series line up replacing the previously successful SR325 known for its excellent sound quality. There is probably no need to introduce Grado, as the company has been hand-crafting headphones in Brooklyn since 1953. They are family owned and run business that takes pride in high-quality audio, traditions, and their three generation long heritage. The external design of SR325e has not changed over the last 50+ years and still carries proud family traits. Grado is very proud of their iconic Prestige Series design from mid last century. It has not changed for a very long time, and as expected, it has not changed for SR325e. In fact, we found that the Grado unique design tends to polarize people as some love the retro look whereas others quite openly dislike it. We fall into the former category as we believe it adds a certain charm to headphones. The build quality is exceptional as the headphones feel very solid, sturdy and composed. it is worth mentioning that the cups can rotate 360-degrees. At first, we did not think it was a noteworthy feature, but later we have discovered it to be handy when wearing the headphones around the neck. One of the distinct features of SR325e is their foamy ear pads, which are plain and perfectly round. Grado has confirmed that those earpads contribute to the overall Grado’s sound signature and their heritage. It may well be so, but in our experience, it comes at the expense of comfort. We found that it does not fit all ear types perfectly due to not being big enough to cover the whole ear and not small enough to rest comfortably on the ear. Besides, the extended use tends to tire the ears a little bit. Nothing major, just not as good as other headphones have it. Despite the metal ear cups, the SR325e feel reasonably lightweight on the head. The grip is good but not too tight as the headphones feel well secured even when turning your head quickly. The headband can be easily adjusted to get a more better fit. 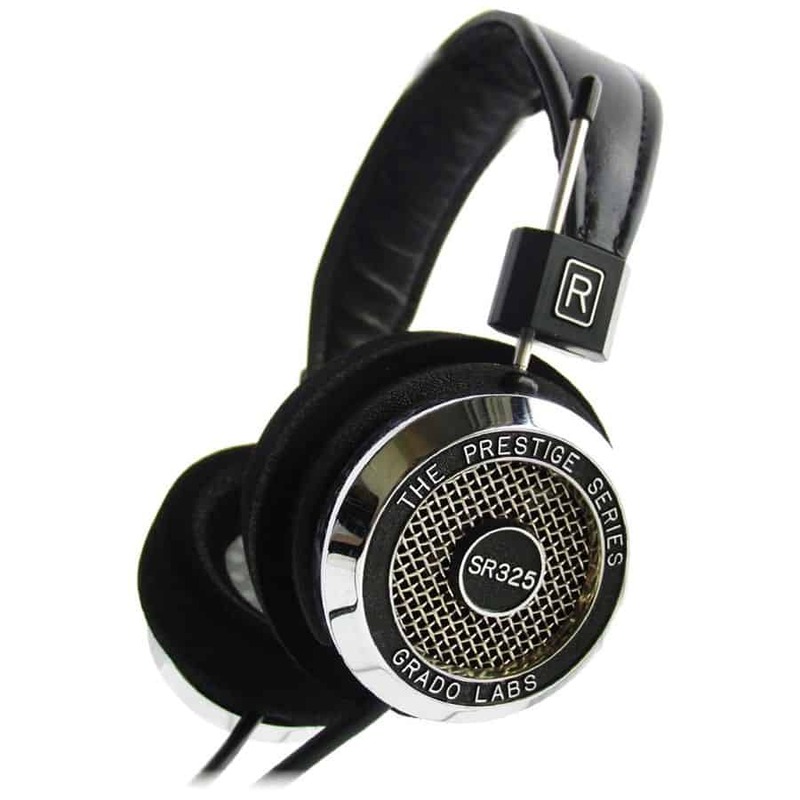 Talking about Grado’s heritage, it is predominantly their sound signature which is notable across their product range. They are not about a punching bass, warmth or exquisite hights. The company has spent decades perfecting what they believe in – dynamic and detailed sound. If you have not heard of Grados before, it is worth trying and most likely buying. The amount of details the headphones can reproduce is simply incredible. SR325e reproduce any music genre beautifully (perhaps except hip-hop), but they like instrumental music the most. Musical instruments come out in a delicate, sharp and perfectly imaged manner. The sound is deep, clear and as precise as it ever gets creating a truly amazing pure sound experience. Conversely, the low-end is the area where SR325e lacks the most. At the same time, we have heard Grados before, and the lack of performance in the bass department was somewhat expected. The bass emphasis is simply not part of the Grado’s house sound pedigree. Don’t get me wrong, the bass is present in the frequency range, but it lacks a punch. The Grado SR325e is an exceptional piece of sound engineering. If you are looking for sparkling details, crystal clear sound and beautiful depth, look no further. Unless you are a bass lover, these are the best open back headphones under $300 by a country mile. In fact, they can easily challenge other headphones that cost twice as much. 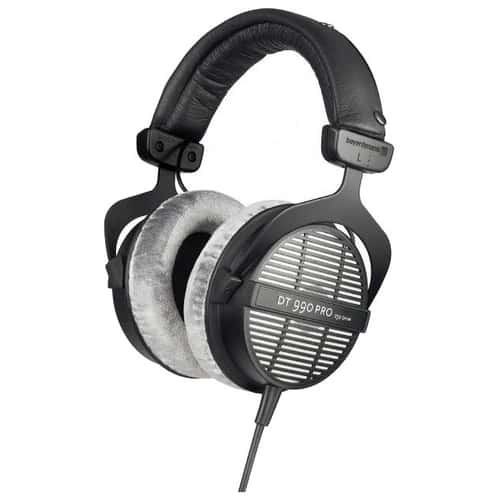 The original version of Beyerdynamic DT 990 Pro was released more than a decade ago, in 2004. Some may think the headphones are dated, but we believe that having them stick around for so long means a great deal. The headphones have been purposefully built for professional studio mixing and mastering, yet they are just as great for home use. Although Beyerdynamic DT 990 Pro are the second most expensive open back headphones in Beyerdynamic’s line up, they represent a staggering value. Beyerdynamic DT 990 Pro studio headphones are built predominantly using plastic, except the metal headband that holds them together. Although it does handle bending fine, they don’t instill the ruggedness we would like to see. In addition, the wire connecting the headphone cups is exposed the old-school way. Be careful not to hinge it on something by accident as it can get damaged. The headband has soft padding wrapped around it which is secured with two bolts at each end. Overall, the design is minimalistic featuring a truly retro / classic design. The cups are relatively large which should fit around most users’ ears. Unlike many other headphones, the earpads on DT 999 Pro are made of memory foam and wrapped in velour material which makes them very soft and plush. The combination of memory foam, velour covered ear pads and padded leatherette headband, creates an amazing feeling of comfort allowing you to wear the headphones over long sessions with ease. Despite the above average clamping force and tightness to deliver a secure fit, the DT 990 Pro provide long-lasting comfort. In fact, they are the most comfortable headphones in our review, by quite some margin. The sound quality is what makes DT 990 Pro truly special. In fact, it is the sole reason the headphones have stayed around for so long. The lows are present, but not emphasized, which is typical for most open back headphones. Some audiophiles may argue that the headphones have insufficient bass, others think there is too much of it. We believe that it depends on the soundtrack. If the soundtrack has lower frequencies, they will get reproduced. The mids are great, yet sound slightly emphasized on all the soundtracks we have played. The vocals are clear and detailed, and the musical instruments are nicely separated. This is partly due to not having overpowered lows or highs, keeping the sound balanced across the frequency range. The highs are also well present, perhaps slightly elevated, but not excessively. They are delivered consistently across the volume range with no distortion observed. The headphones have an impressive dynamic range that makes them very capable of reproducing detailed sounds at both low and high volumes. This is one of the main reasons that put DT 990 Pro among the best open-back headphones for mixing and studio monitoring. DT 990 Pro are the most comfortable studio headphones in our review by a long shot which makes them ideal for long listening. They were originally designed for studio applications, but we found that they work at home just as well. The headphones deliver a well-balanced, clean and precise sound across the frequency range making them the best open back headphones under $200. However, keep in mind that with relatively high impedance level, you need an amplifier to make them truly shine. The AKG K 240 MKII are the professional semi-open studio headphones that have been released to replace the aging predecessor AKG K 240. Although the previous model had its issues it was widely used by many top recording studios for many years. The headphones still represent the most successful example of K series in AKG’s range. It sells the best and has created the heritage the company is known for. Let’s see if the updated version is a worthy update and how it stacks up to the modern competition. The design of AKG K240 MKII stays true to K series roots and has not changed a great deal over the last 40 years. Materials used are of an average quality which is a little disappointing. At the same time, headphones feel sturdy and given the price point, it is more than reasonable. In the box, you will find two cords which are 3 and 5 meters long and coiled. The cords are easily interchangeable thanks to the quick release mechanism integrated into the left cup. The headphones are relatively large, but surprisingly light, which works well over the long sessions. The earcups are still circular, and the headband still uses a retro style slider. To accommodate most users, AKG has included two pairs of earpads. The earpads that come fitted are made from vinyl and are relatively firm. The second pair features a bigger size and softer texture as the outside is made of velvet. Most of the complaints with the original model were related to the comfort level and fit. The new model aims to address those issues and mainly succeeds at it. The comfort has been improved with better quality earpads and an additional pair of softer and larger earpads being included in the box. The headband is self-adjusting and naturally follows the contour of your head. The fit remains an issue to a certain extent. The earcups still feature an exactly round shape which does not perfectly align with all ear shapes. Most of the time, we found the earpads to be either too big or too small for the ears. The overall sound performance can be described as smooth and balanced whereas the frequency response as clear and flat. The highs are bright and sharp on most tracks which are delivered in a refined but a slightly brittle manner. You cannot escape a feeling that the highs are walking too close to the ‘harsh’ territory’, yet they never end up crossing it. If we had to pick a frequency range where be believe the AKG K240 MKII stands out it would be the mids. They come out rich, thick yet very smooth and natural. Instrument sounds are delivered separated, detailed, and they don’t step on each other even when the scene gets busy. The vocals reproduction is reasonably detailed which should be sufficient to please most critical listeners. The bass department is lacking drive and punch which is our main concern with AKG K240 MKII. Although we are far from being bass lovers, the entire low-frequency range comes across as too subtle. The K240 MKII are great and they have a lot to offer in the mid-range department. The headphones are suited to audiophiles looking for a smooth and tranquil sound. It will also suit studio sound engineers using the headphones for tracking, mixing and editing. Overall, the headphones are well-priced making them one of the best open back headphones under $150. The ATH AD700X is Audio Technica’s representative in the budget open back headphones range. 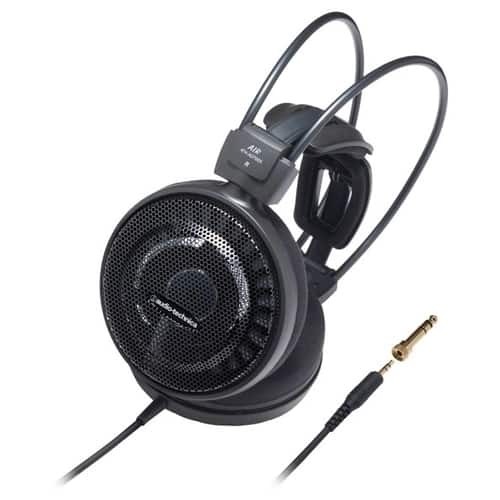 If you are looking for the best open back headphones under $100, then ATH AD700X should be surely on your shortlist. The headphones are designed and marketed for audiophiles but predominantly targeting home use. The ATH AD700X headphones come with a two-year limited end-user warranty for additional piece of mind. But has this pair of budget headphones managed to deliver the above budget results? Let’s find out. The first thing you notice is how big the headphones are. The ear cups are big and circular featuring mettalic mesh grills on the outside making the headphones almost entirely open-air. The casing is made of lightweight aluminum, which reduces weight and slightly improves the sound quality. The highlight design feature is the two self-adjusting 3D support paddles. Those flaps replace the classic leather or fabric strap usually found on other over-ear headphones. Apart from the 3D paddles, the ATH AD700X looks dull and a little boring. If you are looking for eye-catching headphones, this is probably not the headphones for you. If the looks are not that important to you, keep reading, better things are coming. Thanks to self-adjusting 3D wing support paddles, the headphones feel light and generate a relatively small clamping force. In fact, this lightness creates a false sense of fit insecurity, making you excessively cautious with your head movement until you get used to it. The paddles allow tailoring a good fit for most head shapes with ease. In conjunction with the low clamping pressure, headphones are comfortable to wear over the long listening sessions. To further improve comfort, the ATH AD700X feature soft cushions with additional padding. Despite the large ear cup size, the padding takes a fair bit of space which means that people with bigger ears may not have a perfect fit. The ATH AD700X features the newly designed 53mm drivers coupled with copper-clad aluminum wire voice coils. This combination creates a truly unique and vivid sound experience. The soundstage width is exceptional, unlike anything in this price range. The vocal and musical instrument separation is excellent and can rival the headphones that are two or three times the price. The overall frequency response range is mostly neutral. The lows are present but are missing a punch. The highs are detailed but at times may come across slightly piercing depending on the soundtrack. At the same time, this is likely to improve with the longer running-in times. Mids are reproduced slightly emphasized with vocals being clear and present. Overall, the ATH AD700X are great for home listening. Their selling points is an amazingly wide and airy soundstage which does not have a competition at this price point. The headphones manage to reproduce soundtracks with amazing fidelity making them one of the best open back headphones under $100 to buy. 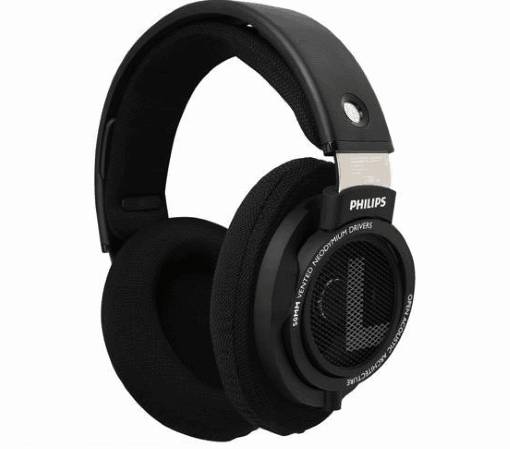 The Philips X2HR is an updated version of a well known Philips X2, which was, in its turn, a replacement of the legendary X1. X2HR have received some fairly subtle updates this time around. In fact, some audiophiles even fail to hear the differences in sound reproduction between X2 and X2HR. The problem is that Philips did not disclose the changes made, but according to our testing and research, the changes are limited to the headband and the earpads. The headband now features a soft padding for improved comfort. The earpads are now more breathable but can no longer be replaced as they are glued to the cup. The headphones feature an all-black design which looks classy and sleek. The adjustable headband now features a real leather giving it a slightly premium feel. The build quality is solid, and the materials used are top notch. The frame feels rugged and composed which gives it a good level of resistance to physical damage. The cups are positioned at 15-degree angle to ensure that the sound is projected directly into your eardrums. Staying true to the best traditions of the Fidelio X line, the headphones feature 50mm drivers with layered motion control diaphragm. The diaphragm hosts a special layer of gel designed to dampen the overstated frequencies. It ensures a smoother, more refined and authentic sound experience across the frequency range. The headphones have been designed with a broad range of playback devices in mind. With their low level of impedance (i.e., 30 Ohm), the X2HR can be powered by almost all modern mobile devices. Comfort and fit are one of the strongest areas of X2HR. The updated earpads are made of a memory foam wrapped in a soft velour. The new material makes cushions highly breathable and helps with even pressure distribution as well as heat dissipation. The headband features a self-adjusting headband suspension mechanism which stretches out the headband for you. With headphones weighing around 380g, the headband does a great job distributing the pressure evenly and comfortably. Overall, they feel very comfortable to wear over longer periods of time. The X2HR are great at creating a spacious and open soundstage. They give you an authentic feel of standing in front of the speakers rather than wearing headphones. The guitars, piano and other central instruments come out very separated with plenty of distance between them. The midrange is very dynamic as it can smoothly and promptly transition to higher or lower frequencies with ease. It is slightly recessed, but it does not affect the frequency range too much as it still feels balanced. With mids being pushed back slightly, the vocals sound a little further away than usual. Nevertheless, they are very clear and carry a true sense of realism. As advertised, the treble is transparent, and although slightly emphasized, it is not piercing and does not fatigue the ears. The highs come out detailed keeping a good and consistent composure even at higher volumes. The low end is the area where headphones genuinely shine. Moreover, it may well be X2HR’s calling card. If you’ve read other reviews, you may have noticed that open back headphones are notoriously weak in the bass department as it is technically tricky to create an open, airy soundstage and have a prominent bass response. The bass gets delivered with immaculate precision and a perfect punchiness. It is tight, detailed but does not feel overpowering and blends in with the rest of the frequency range nicely. The taut bass adds a level of enjoyment to the overall precise and accurate sound reproduction. It is probably not enough to make the bass heads happy, but for the ones who welcome that extra touch of lows or likes gaming – the Phillips X2HR are almost perfect. The Phillips X2HR are one of the most comfortable headphones we have ever tested. They offer a solid build quality and an amazing all-black look. They generate an incredibly wide sound stage which gives an amazing sense of varying depth an width. The frequency response is geared towards a general use with mids being slightly recessed and lows somewhat elevated. 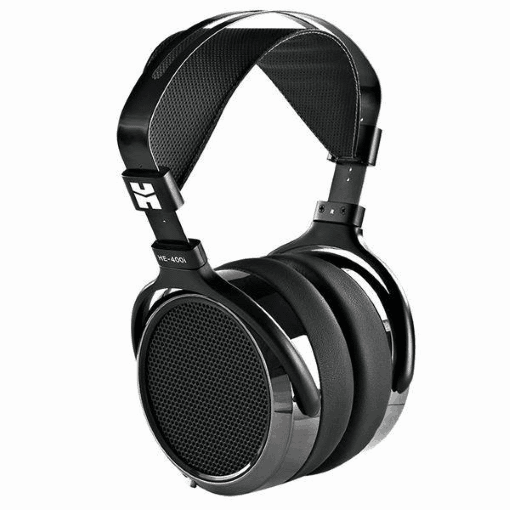 Overall, the unique sound signature makes Phillips X2HR perfect for general use and definitely one of the best open back headphones for gaming. The Philips SHP9500S is a smaller brother of the mightly X2HR that we have reviewed earlier. The headphones share a similar design, build quality and looks. The SHP9500S is positioned as a budget alternative for audiophiles and critical listeners. The headphones are designed for general use including gaming, movies, music and pretty much anything as long as you are using them indoors. With a price tag well below $100 – what can you expect from SHP9500S? Let’s find out! The first thing you notice is a solid build quality which you do not generally see in a budget range. Perhaps the earpad padding is the only thing that looks and feels slightly out of place in terms of quality. Despite their reasonably large size, the headphones feel sturdy and lightweight. The headband is made of steel and holds the cups firmly together giving a good sense of ruggedness. The headphones are powered by 50-millimeter high-precision neodymium speaker drivers designed to deliver a balanced, hi-fi sound across the frequency range. The cups are really big, even for a full-size, over the ear headphones. They let plenty of air through, keeping the ears ventilated and cool. Not often do you get budget headphones with premium comfort qualities and SHP9500S has done precisely that. The headband is extremely comfortable thanks to the double layered soft padding. It features a self-adjusting mechanism which provides an even clamping force distribution. Although the earcups are not made of the same quality material as the rest of the headphone, it fits the purpose well. The cushions are breathable and soft helping to distribute the pressure around the ears evenly. Overall, the comfort that SHP9500S manage to create is best in class. Moreover, they can easily rival more premium models which are three times the price. The soundstage delivered by SHP9500S is decent for the budget range headphones as it is quite wide and spacious. It features a very clean and accurate musical instrument separation. The overall sound signature can be considered as somewhat midrange-centric. The vocals are placed slightly forward sharing the stage with other instruments, yet keeping a fair distance. The mids are reproduced clearly without any sibilance. Like most other open back headphones, the SHP9500S lack a sub-bass part of the low-frequency range. At the same time, they lack it a lot less than most of the competition. The lows are reproduced in a balanced and detailed way, making the bass present and textured. The slight downside is that the bass reproduction is not very consistent sometimes leaving you wondering – is it soundtrack or the headphones? Lastly, the treble is doing an average job. The highs may come across as slightly piercing and sharp at times. They are also a bit over-emphasized. The good news is that the treble can be adjusted using the EQ and the headphones respond well to those changes. The Philips SHP9500S are truly amazing. In fact, this is the closest you will ever get to a true audiophile headphones under $100. They are one of the most versatile open back headphones in our review as long as you stick to home applications. As far as gaming is concerned, the mightly X2HRs are still the best, yet if you want a cheaper alternative, the SHP9500S are the best budget open back headphones for gaming you will fnd. The HiFiMan HE-400i is an updated model of a hugely successful HE-400 which were the best selling headphones in the history of the brand. 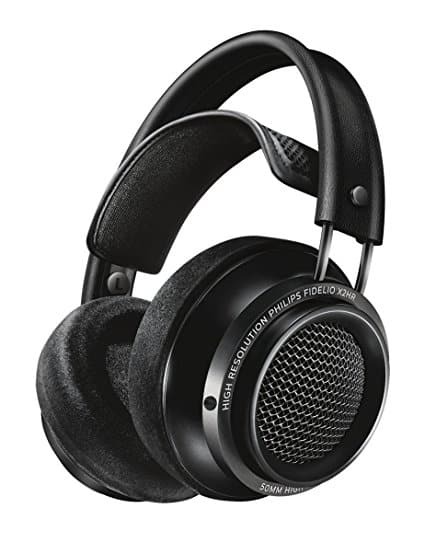 The original HE-400 audiophile-grade, planar magnetic headphones were released in 2012. They have created a lot of excitement when they came out and now, half a decade later, are due for a makeover. Has HiFiMan managed to improve their iconic headphones? The short answer is ‘yes’ and they have managed to do it in every respect. 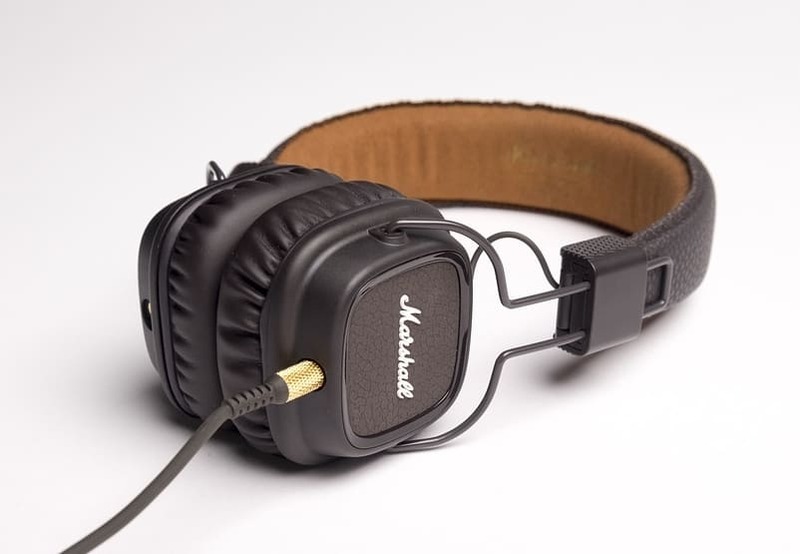 Just like the original model, the HE-400i houses single-sided ‘planar magnetic‘ flat drivers. This innovation had caused a stir when the original HE-400 came out. The new drivers have been designed from scratch with the objective to improve the low end and provide a better sound image overall. The headphones have been designed for home and general use including watching movies, playing games or listening to music. It also means that the receiver or an amplifier was assumed to drive the headphones. This is not to say that mobile devices cannot drive HE-400i since they can. However, if you want to uncover the full potential of this remarkable pair of headphones, an external amp would be highly recommended. The cord is now shorter, reduced from 3 to 1.5 meters but it comes with gold-plated 3.5mm connectors. It features a Y shape end with detachable connectors. It means that both cups need to be connected to the cord, unlike other models where the drivers are interconnected via the wire hidden in the headband. Although HE-400i are mostly made of plastic, they have a good feel, and the overall headphone construction appears to be rugged. Comfort has greatly improved compared to original headphones. HE-400i are now 30% lighter which makes them more comfortable to wear over long listening sessions. The headphones feature a brand new headband design which also improves the overall fit. They clamp consistently around the head evenly distributing pressure and practically eliminating fatigue. Some listeners, however, may find the clamping force slightly excessive. The earpads have also been updated with better, softer and more refined materials such as high-quality artificial leather and velour. The HE-400i produce a more refined and balanced sound compared to the predecessor. Thanks to the planar magnetic drivers, the sound carries a great deal of clarity and transparency. The mid-range tends to be placed slightly forward and is delivered with an incredible amount of details. The vocals are crystal clear and subtle making the mid-range reproduction one of the most realistic in our review. The treble is not very pronounced and perhaps slightly over-extended as it gives too much room to the mid-range. Nevertheless, it is quite precise and detailed, yet more like sitting at the back. The lows are well defined, but like most open-back headphones, they lack some punch. The bass is reproduced quite consistently, yet slightly more sub-bass would have made the sound experience more ‘full body’. The lows are well separated and would work for almost any listener except the bass lovers. The newly released HiFiMan HE-400i are definitely an improvement over the original model in every respect and represent a great value for money. They are not cheap, but if you are looking for an audiophile-grade, high-end quality, HiFiMan HE-400i packs an incredible amount of value. Sterling sound reproduction, great build quality, comfortable fit and good looks make them one of the best value open back headphones out there for casual listening or even professional use. Whether buying an open-back or closed-back headphones, a good pair may set you back a tiny fortune. Since most of us don’t buy high-end over-the-ear headphones every week, you want to make sure your new pair fits the purpose the best way possible. There is a lot of audio jargon out there, and it is easy to get lost, or even give up trying to understand what it all means. The good news is that you only need to know a couple of terms to ensure an excellent fit for your needs and the headphone type (open-back, closed-back) is one of them. Knowing the difference between open and closed back designs is essential as the audio experience that they deliver are substantially different. One is not better than the other; they are simply different and serve two separate purposes. As the name rightly suggests, the closed-back headphones have their cups completely enclosed around the back. The purpose is to have the cups sealed on the outside to ensure that the sound produced by the drivers only travels one way – into your ears. This is not exactly natural, as the sound the driver creates, that is supposed to go outwards into the world, bounces of the sealed cup and gets redirected into your ear. This does not mean the sound is bad in any way, it simply means it is as natural as it was intended to be and perhaps a bit boasted. On the flip side, having your headphone cups sealed blocks a lot of the ambient noise that could impact your listening experience. Depending on the purpose, this could be an essential factor to consider. Lastly, due to the lack of air ventilation, the closed-back headphones may create some warmth in your ears. This is very personal and may discomfort some people more than others. 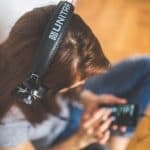 Overall, closed-back headphones emit a lot more targeted sound creating a ‘sound in your head’ type of experience, but isolate you from external noise. With open-back headphones, there is no sealed cup which allows the air to pass from outside to the headphone driver freely. Since there is no hard enclosure, the dynamic drivers are not able to create pressure within the headphone cup resulting in a natural and open soundstage. In the absence of a sealed cup, the speaker elements emit the sound in both directions. That is, into your ear as well as into the surrounding environment. With no obstacles for the sound waves, the open-air design tends to deliver brighter, crispier, more organic and closer to real life sound. On the contrary, the hollow back makes the headphones more susceptible to damage. The problem is that the driver, cone, and electronics are less protected from the dust, moisture, and accidental physical damage. 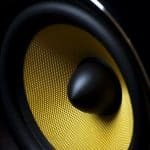 You also need to pay more attention to your environment as due to no sound isolation there is plenty of sound leakage. In other words, whatever you can hear in your ears, the people around you can hear too. This goes both ways, as all the outside noise and ambient sound easily traversers into your ear with minimal filtering. In conclusion, open-back headphones are not for everyone, and the experience they deliver is hard to explain. Before deciding to buy a pair, it is recommended to experience them for real. If you are looking for casual and general purpose listening, then closed-back headphones are what you are after. On the other hand, if you are an audiophile who likes pushing the boundaries of a close to real life sound, the open-back headphones should be definitely on your list to try. But be careful, you may decide never to go back to closed-back headphones again. Alternatively, there is something in between, which is referred to as semi-open headphones or semi-open back headphones. They are a sweet spot and a great compromise for someone who finds open-back design too ‘airy’ and closed-back design too ‘enclosed’. When we were testing some of the best rated open back headphones you can buy, we tried to be as objective as we could. At the same time, we understand that it can be like with colors – you like red, but I like blue. So, in order to stay as impartial as possible – we test, read, research and challenge headphones until we are convinced and only then we put it on paper. We have analyzed and researched dozens of open back headphones in each price category. We have noticed that the type of research information available online greatly varies depending on the headphone price point. 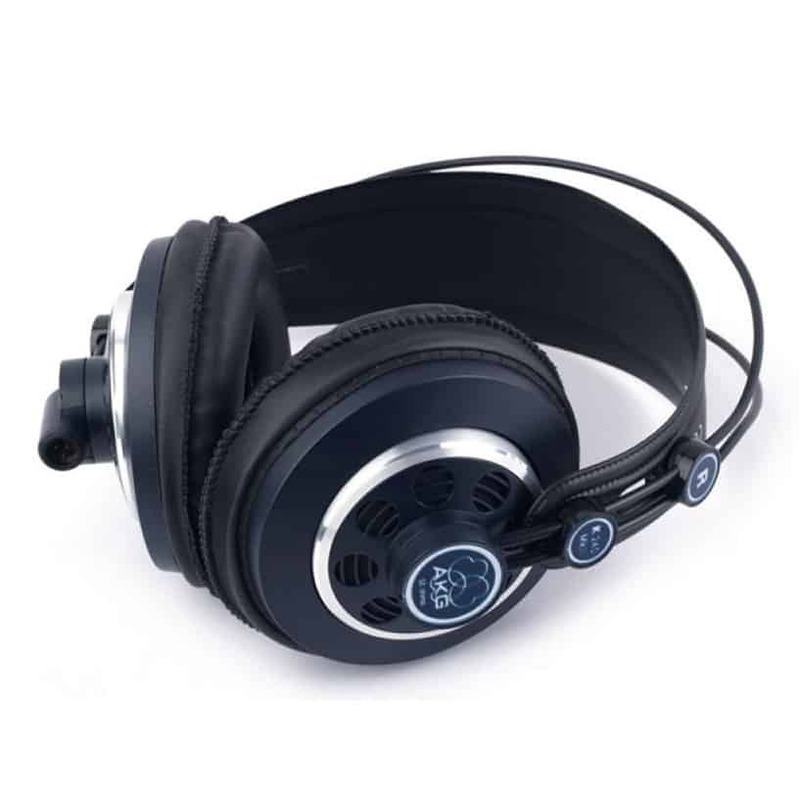 This proved to be a challenging task as you need to balance the quality and quantity of information for all open back headphones in each price category. Premium open backend headphones tend to have online reviews that are mostly positive and very little actual user feedback. On the other hand, the more affordable open back headphones had plenty of user feedback but were lacking professional and expert reviews. Sound Quality – this criteria consist of collecting the data from two separate sources. Those are expert reviews and real, hands-on end users. The cumulative approach allows us to create an objective picture of the performance of the particular set of open back headphones, its benefits, and weaknesses. Price – we do understand that to get a better sound quality, most of the time you are required to pay more money and we are perfectly fine with that. What we do assess as part of this criteria is the relevance of the price and the sound quality. In other words – it is worth the asking price? Practical usage – as part of this criteria, we research and learn what the real users are saying. Consuming vast amounts of information we try and identify patterns, week spots and even repeating defects. Comfort level – the more comfortable your cinematic or reference headphones are, the longer you can wear them. It is important to note that most of fully open back headphones in this review require a bigger power source than a phone to drive them. Do not get me wrong, you can still use your iPhone with most of them and get a high-quality sound. At the same time, if you really want to uncover its full potential in terms of the sound quality and volume, an amplifier is a must. Nevertheless, testing the headphones both ways is essential. On the one hand, not all of us have digital amplifiers. On the other hand, we all have mobile phones, yet most of us probably would not use open back headphones with it. The question is common as it pops up from many of our readers. Unfortunately, you are the only person who knows the answer to it. It all comes down to your passion for audio quality and how much of an audiophile you are. Generally, there is a big gap between headphones that cost $100 and the ones that cost $200. The same cannot be said comparing HiFi headphones for $800 and $900. In other words, the further you get on the audio performance ladder, sound quality increments become smaller, whereas their cost exponentially increases. It also comes down to your budget and how much you are willing to spend. As you will see in our headphones reviews, there are very decent options almost across the whole price range. This means, that if the budget is small, but the need for a quality sound is big, there is an option for you. To put the above into perspective and more so into practice, there a couple of practical steps you can take. They will help you gauge your level of urge for sound quality and set an educated budget for your new pair of open back headphones. First, test as many headphones as you can at your local retail outlets and audio shops. Second, attend audio shows and fest like Canjam Global where the latest and greatest headphones are demonstrated and can be tested. Perhaps you are looking for the top bluetooth earbuds 2018 has on offer? Impedance is a fairly technical term that is pretty tricky to explain in plain English. 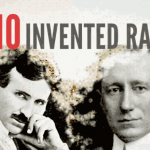 It measures the level of resistance of an electric circuit to the electric current when the voltage is applied. In practical and simple terms, the higher the impedance, the more current your source device needs to supply in order for the headphones to generate sound. This makes the audio source device important when choosing the best open back headphones for you. Generally speaking, if you are mainly using your mobile phone or other portable devices to power your headphones, then impedance below 50 Ohms is recommended. Alternatively, if using a mixer or amplifier then higher impedance makes the headphones more prone to overloading and generally make them last longer. Soundstage refers to the placement of vocals, musical instruments and other sounds in a soundtrack. Talking about headphones – a wide soundstage would typically mean that the headphones are able to reproduce the distance between all the sounds in a convincing and realistic manner. Do I need an amp to run open back headphones? There is no right answer to this question as it depends on the headphone. Some headphones get to benefit from the amplifier at 30 Ohm, whereas others work perfectly fine from the mobile at 50 Ohm. Given that you have bought a good, quality pair of headphones anything up to 50 Ohm should be reproduced with decent quality and sufficient volume. For headphones with greater impedance levels, an amplifier would be recommended. Why frequency range is important? The frequency response is important as it determines the sound generation capabilities of a device. In general, human’s ear is capable of registering sounds between 20 and 20 000 Hz. At the same time, the hearing range greatly depends on individuals as there are some that exceed that range and others who are well within it. In simple terms, you want the headphones to be able to reproduce the sounds you can hear, so it has to cover your hearing range. Sub-bass is represented by the lowest frequency range the humans can her. 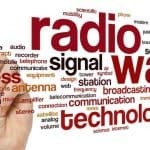 Those frequencies typically range between 20 and 60 Hz. In practice, the sounds that fall under that frequency range are bass drum, bass guitar and drum machines. I like Sennheiser HD 800 S, but the price bites a lot… not sure if they are worth over 1K asking price they wear 🙁 Still curious though, anyone had any good / bad experience with them? If you can afford it and you can tell the difference purest sound from great sound – you won’t be disappointed. Alternatively, HD 660 is a much more affordable option. You are suggesting that Philips X2HR is great for gaming, but it does not have a microphone, how would that work for games like CC? I would work with any game. At the same time, if the microphone is something you need, there are 2 options to consider – either you have a mike that is built into your headset or have a standalone. Up to you, both options are great, it is just that not every gamer needs a mike I guess. I think HD 650 should be in the list, it is one of the best open back sets for the last decade or so.